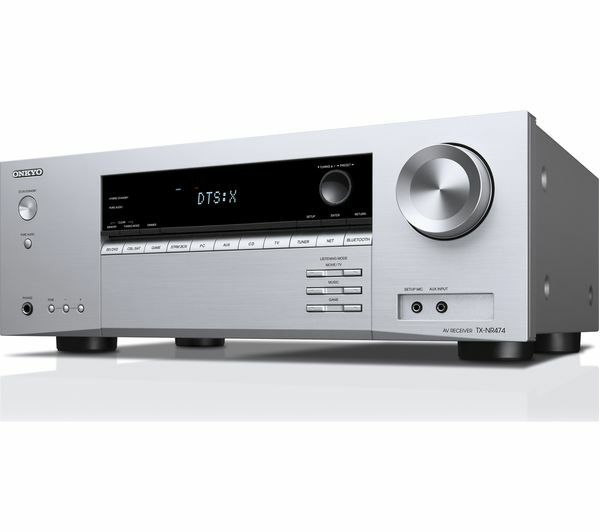 Bring surround sound to life with the Onkyo TX-NR474 5.2 Wireless Network AV Receiver. This audio kit adds muscle to your speakers so your favourite jazz music and classics are amplified as though in the recording studio. Movie soundtracks are more epic, and Sunday football more dramatic. Dolby Atmos and DTS:X Decoding amplify performance with sound effects bouncing around the room as they would in real life, making each film you watch an unforgettable sensory experience. Link wireless speakers positioned throughout your home with FlareConnect. 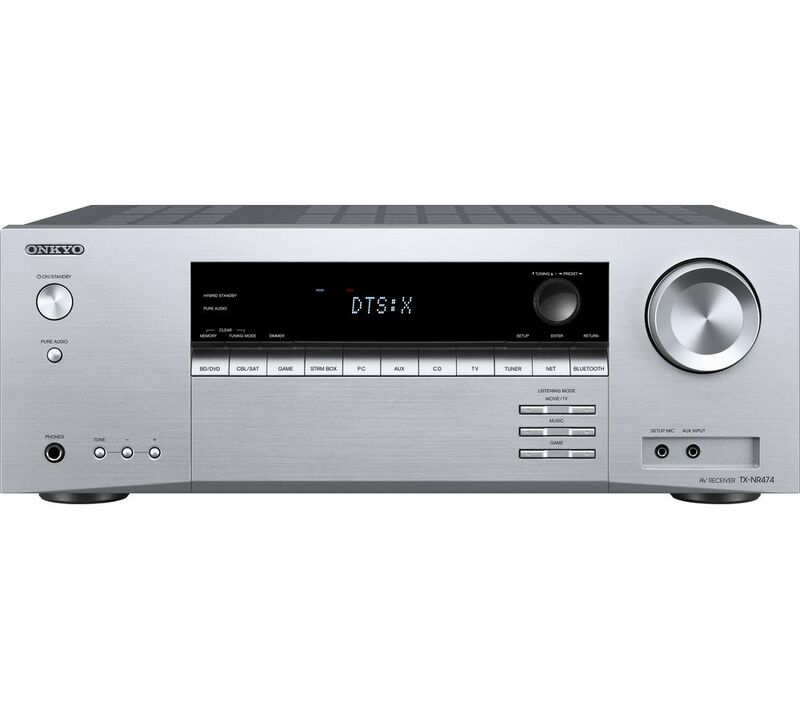 Through this technology, the Onkyo TX-NR474 lets you take your music beyond the boundaries of the living room so you can enjoy listening to new favourites wherever you are. The TX-NR474 uses an advanced calibration technology called AccuEQ, which adjusts sound according to the acoustics of the room so you can enjoy the best audio experience. Streaming music from your smartphone, laptop, or PC to the TX-NR474 is a piece of cake. Control playback from Chromecast-enabled apps you know and love from your iPhone, iPad, Android phone or tablet, Mac or Windows laptop, or Chromebook. 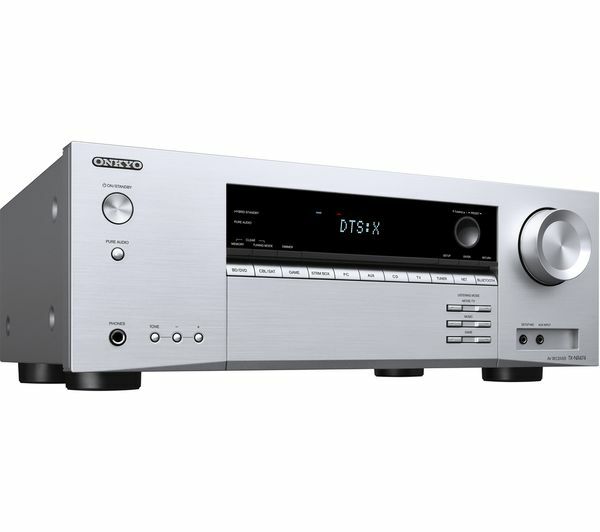 Connecting the Onkyo TX-NR474 Network AV Receiver with your entire home entertainment system is simple thanks to Bluetooth. 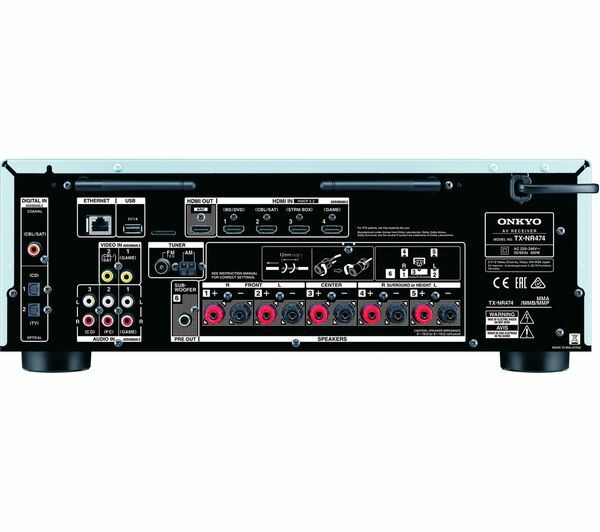 Four HDMI ports offer enough connectivity to control a complete Home AV System, a satellite box, and a game console such as your PlayStation. HDMI passthrough allows playback of the latest Ultra HD video formats with HDR.